How Far is Virtusa Celosia Nest? Virtusa Celosia Nest With the vision of "Shaping a Modern Hyderabad", Virtusa team is committed in developing appreciating properties which value our customer's investments. In line with this commitment, Virtusa's new venture "Celosia Nest" is located at Isnapur near Patancheru. We named Lorna Greens after a lush butterfly. Everything at this residence is delicate, detailed and delightful. Virtusa Life Spaces believes in quality construction, all the projects of the builder are built with top notch quality materials. Virtusa Icana Meadows one of the plot developments of the builder is developed in Komapally, Hyderabad which offers wide well-planned plots for sale in Kompally, Hyderabad. Virtusa Lorna Greens one of the under-construction projects of the builder is a plot and Villa project which offers compact 2BHK’s spacious and luxurious 3, 4BHK villas for sale in Shadnagar, Hyderabad. 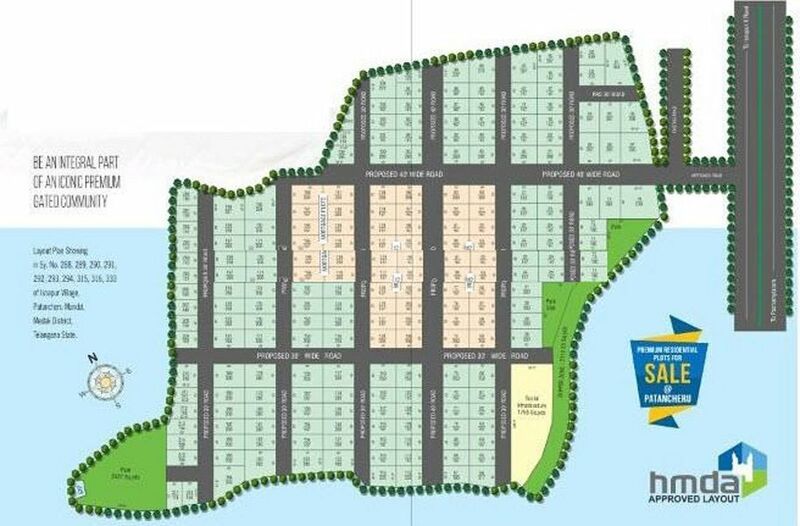 Virtusa Celosia Nest is a plot development located in Isnapur, Hyderabad offering efficient plots for sale. Virtusa Life Spaces is a green-habitat development firm, working relentlessly to develop affordable world-class residential townships, commercial complexes delivering the best to our customers, while giving a new dimension to the Indian housing development. At VIRTUSA, it is our mission to design, build & market residential and commercial complexes of international quality while assuring the highest possible level of satisfaction to our valued customers. The vision of Virtusa is to work relentlessly towards developing an affordable, yet world-class benchmark for townships and commercial complexes, delivering the best to our customers while lending new dimensions to the Indian housing development scene. At VIRTUSA, it is our mission to design, build & market residential and commercial complexes of international quality while assuring the highest possible level of satisfaction to our valued customers.